Ask any middle eastern chef what is the secret to the best hummus, and they will tell you one that is smooth, creamy and with a light, delicate texture. 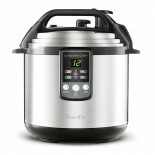 Product Review is an independent website that is devoted to providing consumer opinions on products - have a read of "how much they love their Breville Fast Slow Cooker". 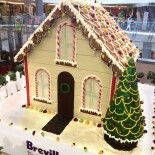 Gingerbread houses and Christmas go together – and a larger than life gingerbread house just adds a touch of magic to the occasion.